Proven reliable builder and carpenter ​specialising in the bullnose and curved roofing installations in the Sutherland Shire, South Sydney and wider Sydney areas. ​Led by builder Robert Sharp and working with clients all over Sydney for 20+ years. Robert is a licensed carpenter with expertise in verandahs, decks, pergolas, carports and additions to existing homes. Specialising in high quality installation of bullnose and curved roofing, the hardworking team of RJS Building delivers expertly crafted carpentry to all clients Sydney wide. We work with bullnose, concave/convex and ogee rafters to deliver a result that exceeds all expectations and defies all design complexities. Protecting homes from Sydney’s harsh year-round weather conditions is our specialty. 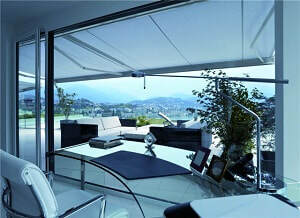 We do awnings & pergolas for shade & comfort. ​​We bring your ideas to life, building your design with care. We can use your materials, shape and size, our designers will make it work. ​With every design being different, we deliver a result that is value and comfort for years to come. More popular for commercial uses, bullnose awnings are semi-polygonal in shape so they end up closely resembling half of an umbrella. As it is more decorative in nature, a bullnose awning can add a special flair to your storefront or can give that classic colonial look complementing both old and new structures whether for your home or for your business. ​RJS Building is the expert in bullnose verandahs, adding or restoring extra space to your home that will deliver benefits all year round. Our clients continue to be delighted with our bullnose verandah work, with results that increase the value of their homes while being beautiful and practical. RJS Building specialises in building and restoring bullnose, concave and convex verandahs using Australian-made materials to flawlessly match your home. Our experienced team are leaders in their field, delivering results that go beyond all expectations. 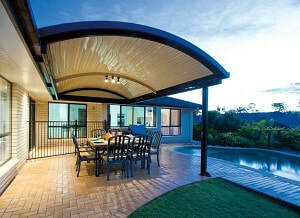 Our clients favour bullnose verandahs for their cooling design. Bullnose verandahs are proven to cut off direct sunlight and reduce the effects of weather in your rooms. Even during the hottest Australian days and harshest storms, bullnose verandahs keep your home protected from the elements and offer an aesthetic feature that improves the value of your home. The concave verandah or 'eyelash' verandah is a traditional verandah style, dating back to early settlers in South Australia. A key feature of concave verandahs is that they provide very effective insulation, cutting off direct sunlight to ensure a more comfortable living environment. A popular alternative to both bullnose and concave shaped forming, convex offers year-round protection from the elements. Installation and renovation of convex materials is a speciality of RJS Building. 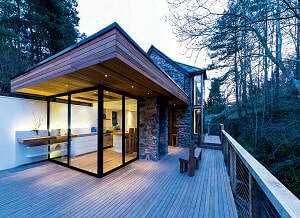 ​Why choose RJS Building for your building project? ​We are locally owned and operated, meaning you are dealing with a business owner who makes you #1 at all times. Our expertise in bullnose and curved roofing, awnings and pergolas is in a class of its own, meaning you’re finished product will exceed all expectations. We are a trusted family business, serving clients like you from our South Sydney base – our reputation is everything which means we are there every step of the way. A lot of our work is on referral which validates our commitment to the highest quality building. ​Whatever your building needs, RJS Building Pty Ltd is Sydney’s proven builder and welcomes your call.